Botox Injectable is a purified non-animal protein derived from the bacterium Clostridium botulinum. When expertly injected into selected face and neck muscles, it can induce a temporary relaxation of the muscle, which may help soften unattractive animation lines and may minimize the depressive or “pulled-down” effect of some strong muscles that can negatively affect the vertical position of soft tissue of the brow, cheek and jowl line. What is Botox Injectable made of? 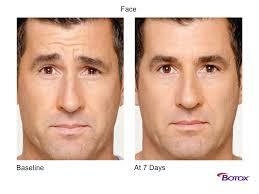 Botox Injectable is a simple protein, manufactured naturally by bacteria (similar to penicillin coming from a mold). The protein sterilized and lyophilized and then reconstituted, again in a sterile fashion by your physician or professional. The protein is made up of two peptides, held together by a disulfide bond. When administered near a selected muscle, the Botox Injectable makes its way to the selected muscle and is absorbed into the nerve that directly results in contraction of that muscle, where it will produce temporary, very localized blockade of muscle contraction function. This blockade is temporary and after several months the body has enzymes that break the Botox Injectable in its harmless, naturally occurring peptide components. Who is a candidate for Botox Injectable Injections? Individuals with dynamic expression lines that they find unattractive are excellent candidates for the treatment. The use of very small amounts of Botox Injectable into undesirable animation lines and the muscles underneath them can soften the lines. Affecting positively what kind of impression and expression that you project externally and soft tissue smoothening of the skin can occur. Depending on the muscles that are injected, the muscles that pull down various areas of the face can be relaxed, allowing the elevator muscles to work without competition and provide a tonic elevation of the brow, cheek, jowl line and neck. It can also be used to modify sweating under the arms and is frequently used to reduce sweating in the armpit region, palms of the hands, soles of the feet and hairline region. At Dermedix Clinic, we employ a team of the most highly qualified medical professionals that consult with you to recommend the most suitable treatment for your concerns, be it anti-wrinkle injectables; dermal fillers or lip enhancements, for the most aesthetically pleasing and subtle results. What happens during a Botox Injectable treatment? Following a thorough history and physical examination, one of our highly qualified medical professionals will discuss the areas of concern with you. 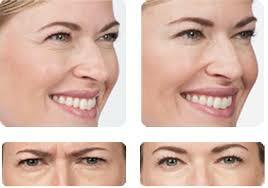 The undesirable facial muscles affecting overlying wrinkle patterns will be treated. Generally, the treatment lasts just a few minutes. There is very little discomfort and, in most circumstances, there is little to minimal bruising and the patient can apply makeup immediately afterwards and return to regular activities. Exercise, rubbing the treated areas, coughing or bending over should be avoided for 3 hours, after which time any activity can be resumed. A very small needle is used, the kind of small needle that would be used to administer insulin to diabetic patients. Topical anesthetic cream and other techniques such as ice or topical air chillers can be used to reduce the minimal amount of discomfort associated with the treatment. An Botox Injectable is administered with a very fine needle, and takes only a few seconds. It’s the tiny prick of the needle for a moment, and most patients tolerate it very well. 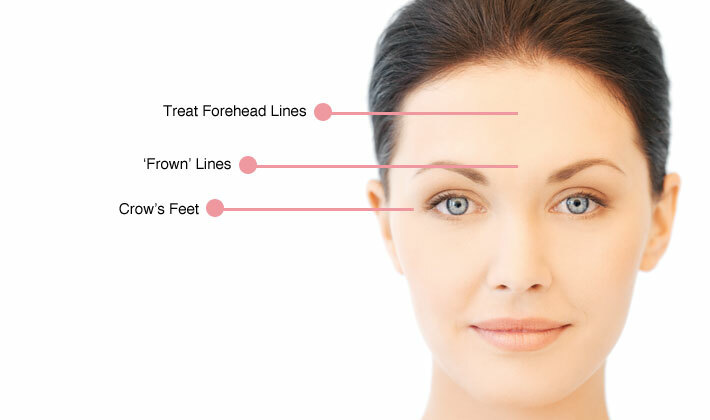 Several injections are given into the area you’re concerned about, for example the frown lines between the brows. If you are highly sensitive, and topical anesthetic gel can be applied first. Dermal fillers are administered the same way, though take a little longer, depending on the area of the face being treated. Are there any side effects after botox injectables? Botox Injectables and dermal fillers are tried and tested in millions of treatments globally and are safe and effective when administered by a medical professional who has correct understanding of the underlying facial musculature. Side effects can include minor bruising at the site of the injection, so don’t take any medication that thins the blood (like aspirin) for several days prior to your treatment, as this increases the risk of bruising. How long do Botox Injectables and dermal fillers last? Each patient responds differently but in general, Botox Injectables last anywhere between 4 to 6 months before the relaxing effect on the muscle wears off. Dermal fillers last for a longer period depending on the type of filler being used, and the area of the face being treated. Will I look frozen after receiving Botox Injectables? No. Our medical professionals study your facial musculature and administer the right amount of product for you, for the most natural and subtle of results. The ‘frozen’ or unnatural appearance you sometimes see on celebrities happen as a result of over-treatment. 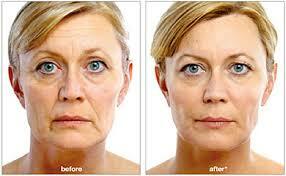 Will use of Botox Injectables prevent more wrinkles from forming?